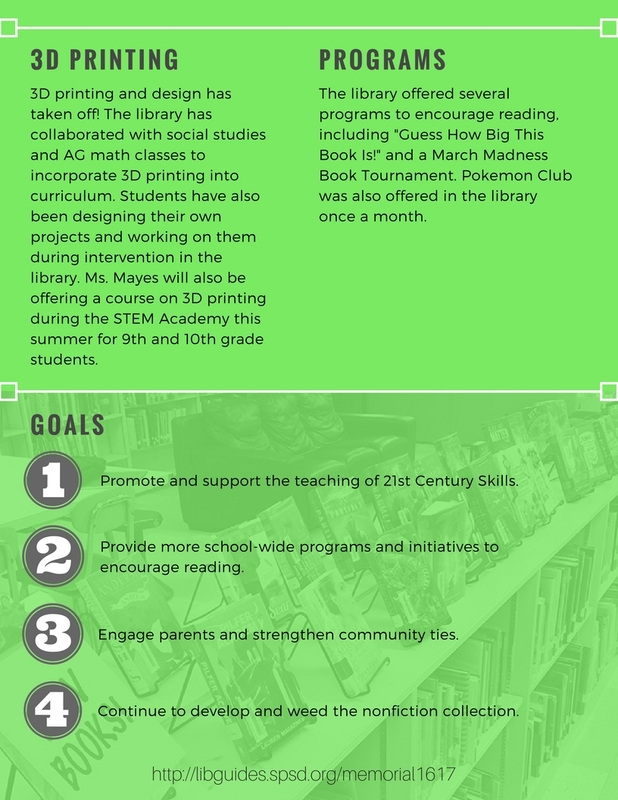 Our completed green screen studio has helped many students complete professional-looking projects throughout the course of the year. Lighting and microphones were donated by a Donors Choose campaign to help complete our studio! 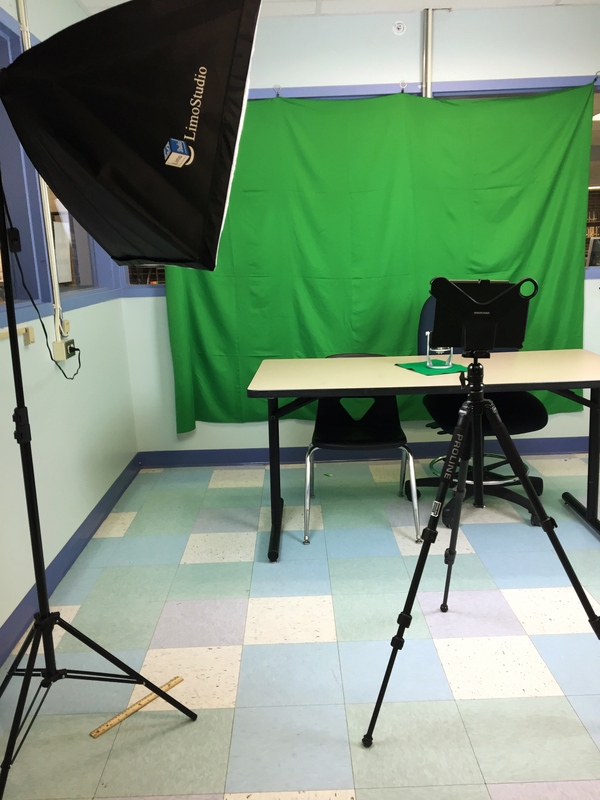 The video below was created by Ms. Mayes and students using this new studio space. 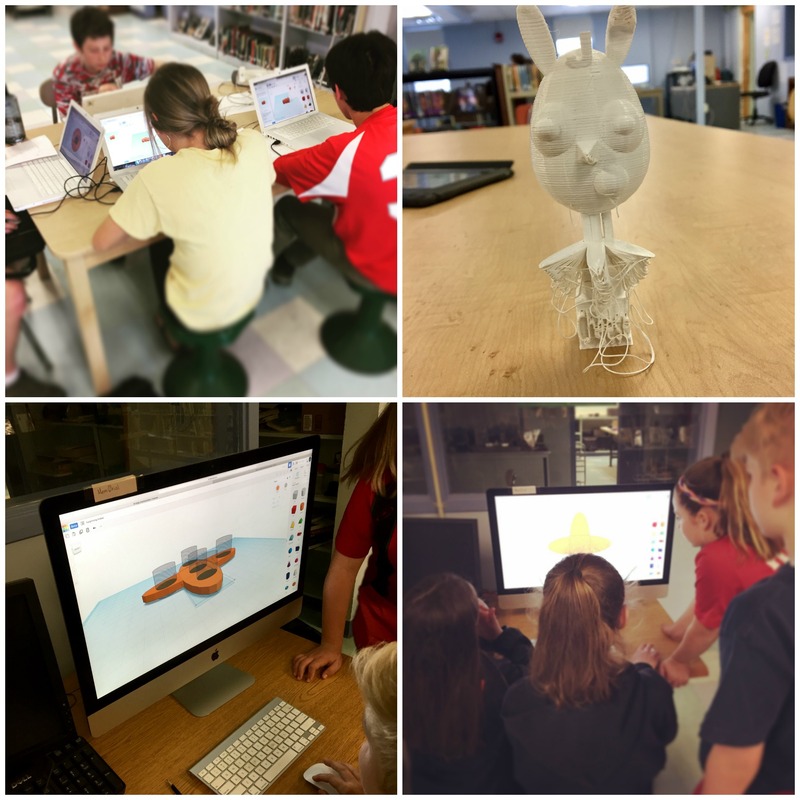 Students have been working on a variety of 3D printing projects in the library. AG Math students studied elements of circles by designing their own bento boxes, 6th graders are working on designing their own fidget spinners, and some students are inventing their own species!